Start off your visit on the 19th (Wed): explore by horseback at Racing Tours Ireland and then kick back and relax at Portmarnock Beach. To see ratings and more tourist information, refer to the Dublin tour planner. Use the Route module to find suitable travel options from Boucherville, Canada to Dublin. Due to the time zone difference, you'll lose 5 hours traveling from Boucherville to Dublin. In October, plan for daily highs up to 15°C, and evening lows to 8°C. Finish up your sightseeing early on the 19th (Wed) so you can go by car to Galway. Visit Bunratty Castle and Folk Park and King John's Castle for their historical value. 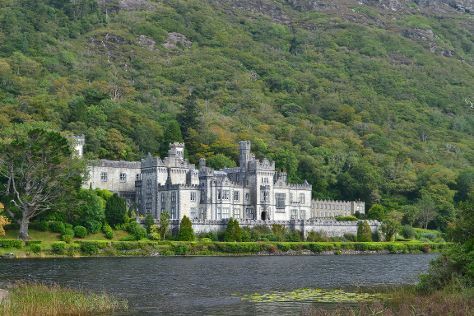 Kylemore Abbey & Victorian Walled Garden and Dromoland Castle Golf Club are good opportunities to explore the local culture. Venture out of the city with trips to Clonmacnoise (in County Offaly), Cliffs of Moher (in Liscannor) and Lahinch Beach (in Lahinch). 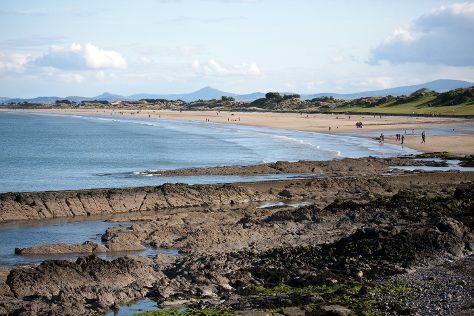 The adventure continues: look for all kinds of wild species at Connemara National Park and appreciate the extensive heritage of Salthill Promenade. For photos, more things to do, other places to visit, and tourist information, refer to the Galway travel itinerary creator. Getting from Dublin to Galway by car takes about 2.5 hours. Other options: take a train; or take a bus. In October, daytime highs in Galway are 17°C, while nighttime lows are 9°C. Finish up your sightseeing early on the 23rd (Sun) so you can go by car to Dublin. Start off your visit on the 24th (Mon): brush up on your knowledge of spirits at The Old Jameson Distillery, stroll through Portmarnock Beach, and then tour the pleasant surroundings at The Wicklow Way. Here are some ideas for day two: trek along Kilcullen Farm & Nature Trail, then experience rural life at Irish National Stud & Gardens, and then look for all kinds of wild species at The Bog of Allen Nature Centre. To find photos, more things to do, where to stay, and tourist information, use the Dublin custom trip planner. Traveling by car from Galway to Dublin takes 2.5 hours. Alternatively, you can take a train; or take a bus. Wrap up your sightseeing on the 25th (Tue) early enough to travel back home.